The Seaport is a great place to spend time in the summer. The ocean breeze and harbor views are a great way to escape the city while still being in it. Here are some great ideas for what to do on the waterfront. 1. The New England Aquarium – The New England Aquarium is high on the list of places to go when you visit the Seaport / Waterfront district. They have a magnificent display of different sea animals and fish, as well as exhibits for visitors to see. They also have animal shows where the workers will engage with the animals to show off their tricks and abilities. Their most famous exhibits include the shark and ray touch tank, the penguin exhibit, and the giant aquarium tank that goes right up through the middle of the building. For more information on exhibits and activities to do at the aquarium, click here. 2. 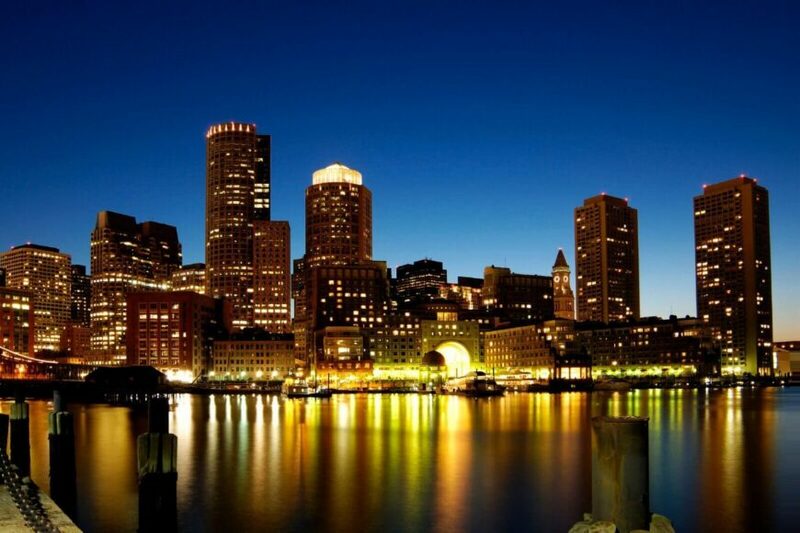 Boston Harbor Cruises – Looking to enjoy a nice sunset dinner on the water? The Boston Harbor cruises offers you a chance to enjoy a boat ride with beautiful views of the Boston skyline. Looking back at the city from the ocean, it’s a great way to get a whole new point of view on the Seaport. They offer many different options of harbor cruises that can be rented out for a private party for special occasions. In addition, there are whale watching boats, as well as ferries to Province town and Salem. To purchase a ticket or book a private party on one of their many cruise ships, click here. 3. Faneuil Hall and Quincy Market – On the outskirts of the waterfront and seaport area you will find one of the top tourist destinations in Boston, Faneuil Hall and Quincy Market. Faneuil Hall is an outdoor mall complete with dozens of shops and restaurants. You may even see a street performer while walking along the cobblestone! One business that has recently gotten a lot of attention is The Frost Ice Loft. The Frost Ice Loft is ice cold and kept at a cool 21 degrees. All ages are allowed until 6pm, when it turns to a 21+ bar. Quincy Market has a wide variety of food, and there is something to satisfy any type of craving. From MMMac N’ Cheese to Sprinkles Ice Cream, there is a very small chance you will leave Quincy Market hungry. 4. Boston Tea Party Ships and Museums – To experience one of the most well-known events in the history of Boston, the Boston Tea Party Ships and Museums will take you back in time. Once inside the museum you will see the ships, a reenactment of the Boston Tea Party, and have a cup of tea in Abigail’s Tea Room and Terrace. To learn more about the museum and purchase your ticket, click here. 5. Boston Duck Tours – One of the most famous tour experiences in Boston is the Duck Tours. These tours give you two experiences—a tour of Boston that is on land and water! With the tour being 80 minutes, you get to experience Boston from many different viewpoints, especially when the bus turns into a boat! This is a fun way to learn the facts and history of the city. To find out more about these duck tours and to purchase tickets, click here.